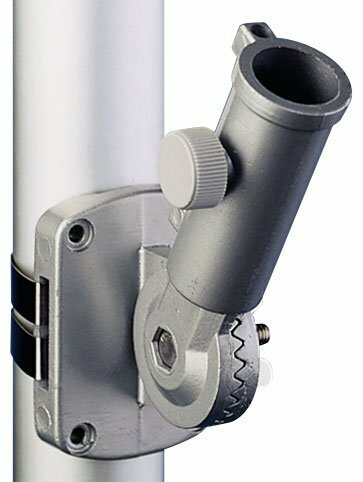 How many different adjustable positions does the bracket provide? Does the bracket come with screws? 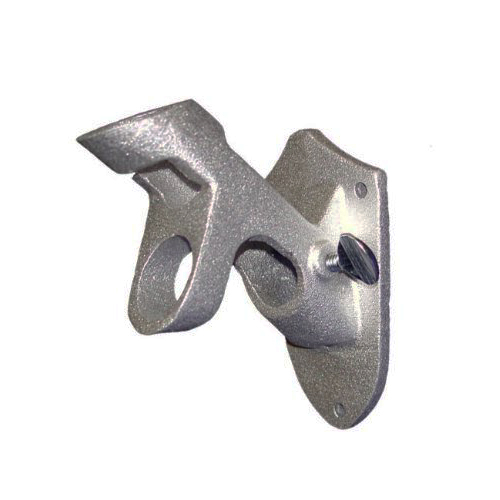 What size flag pole do you use with this bracket? 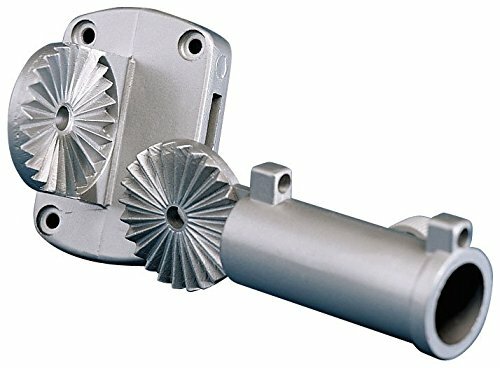 What is this bracket made of? 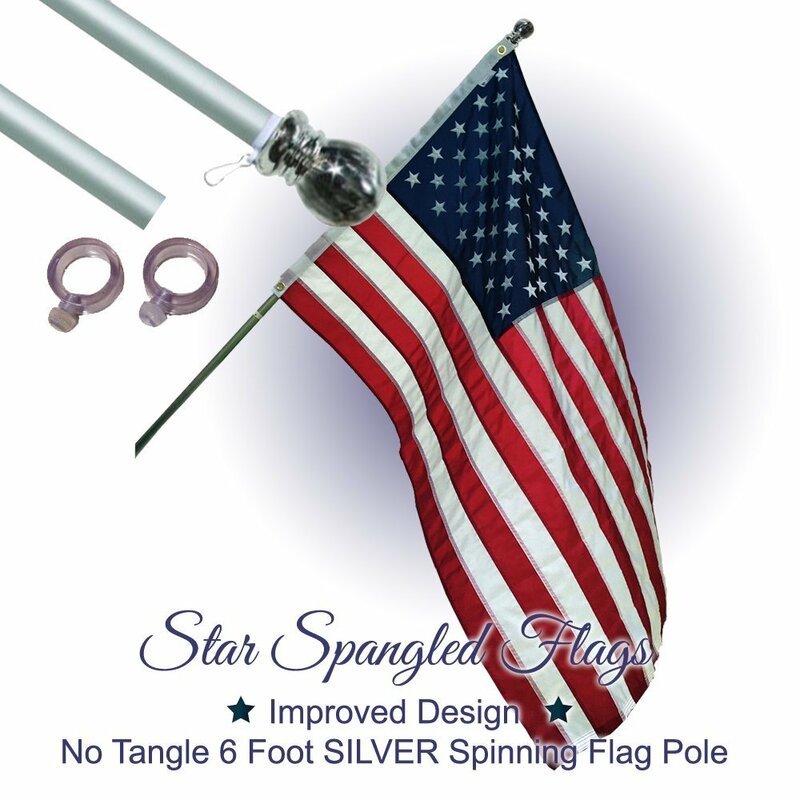 Our Aluminum Adjustable flag pole bracket provides 13 different positions on which to fly your flag. 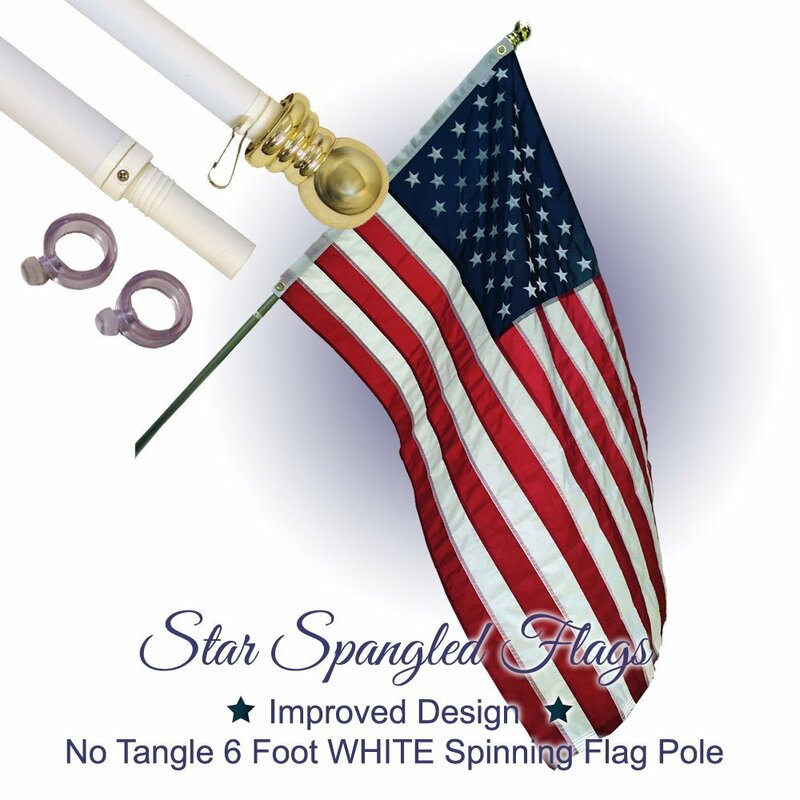 You may display your flag anywhere from vertical to horizontal and multiple positions in between. 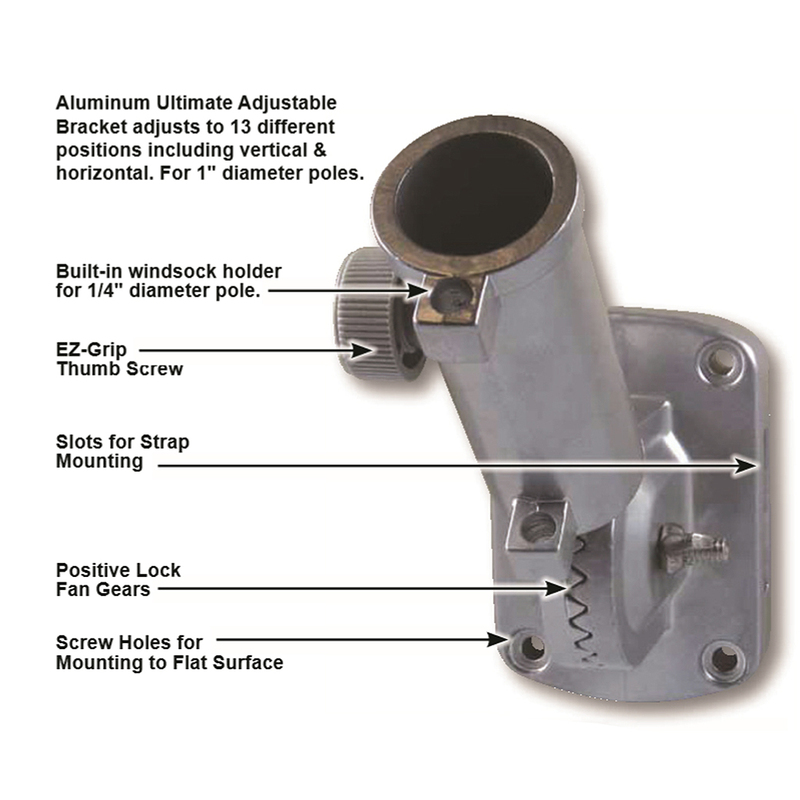 Yes, our bracket comes with 4 screws for mounting. 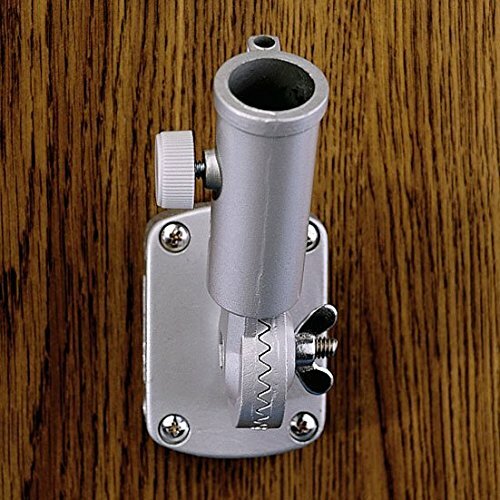 It is easy to install and convenient to use. 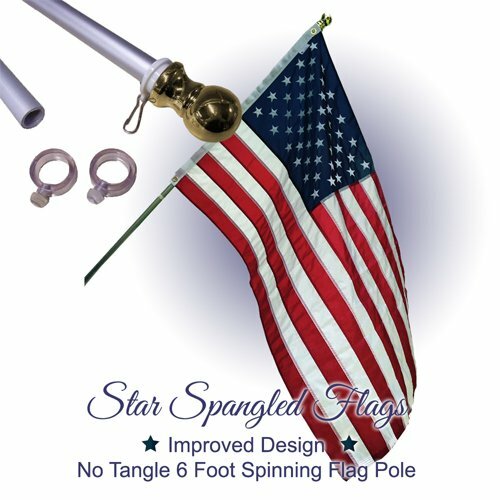 You may use any one inch diameter flag pole with our adjustable flag pole bracket. 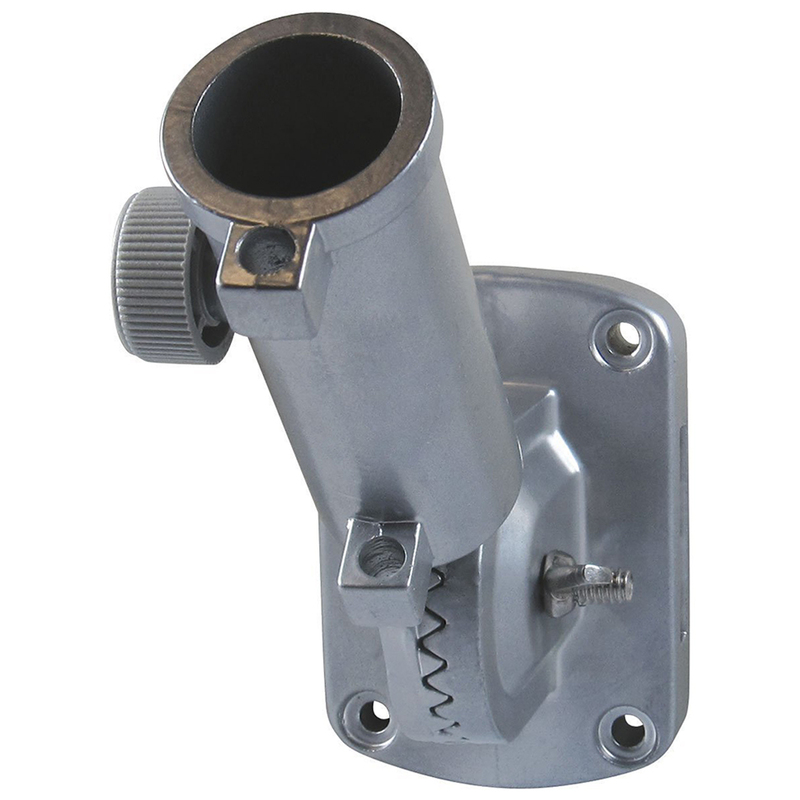 The flag pole bracket is made of tough and durable cast aluminum.